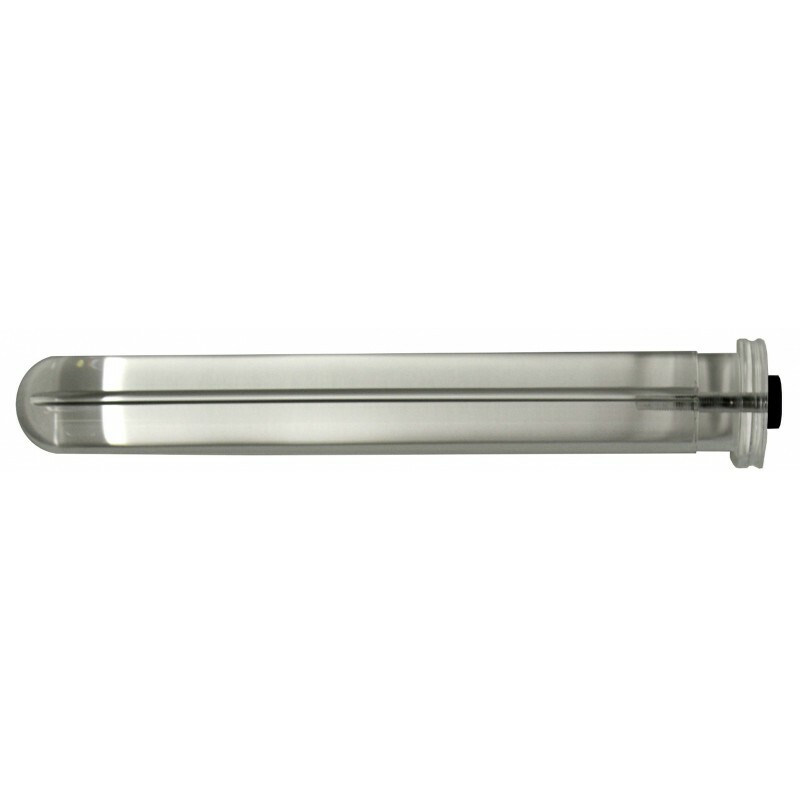 Obturator for Electron Cones - 5.1cm - Radiation Products Design, Inc. The Obturators are used to make insertion of the Periscopic Electron Cones easier. The primary use for the obturators is for vaginal insertion. The Obturators are made of solid clear acrylic with diameters of 1.9 to 5.1 cm. The reversible obturator cap/handle has a large and a small diameter. The 2 diameters of the cap/handle determine the insertion length of the obturator into the periscopic electron cone. This cap/handle design allows one obturator to fit all angles of the periscopic electron cones. The larger diameter end is used for the 0° and 15° angles and the smaller end is used for the 30° and 45° angles. The larger diameter end also has a groove around the side to facilitate ease in handling. A screw with a knob is used to attach the cap/handle to the obturator. The obturator is placed in the corresponding periscopic electron cone through the acrylic ring end, the obturator is then lubricated and inserted into the patient. The obturator is removed from the periscopic electron cone and the position is viewed through the periscopic electron cone using a flashlight. A groove the length of the obturator prevents suction when removing the obturator. When viewing, if the position of the periscopic electron cone needs to be adjusted or changed the obturator can be reinserted to help reposition the periscopic electron cone. Once the proper position of the periscopic electron cone is set docking to the periscopic viewer can be done. After docking the position of the periscopic electron cone should be verified using the periscopic viewer.